The Tao of Microservices guides you on the path to understanding how to apply microservice architectures to your own real-world projects. This high-level book offers a conceptual view of microservice design, along with core concepts and their application. An application, even a complex one, can be designed as a system of independent components, each of which handles a single responsibility. Individual microservices are easy for small teams without extensive knowledge of the entire system design to build and maintain. Microservice applications rely on modern patterns like asynchronous, message-based communication, and they can be optimized to work well in cloud and container-centric environments. The Tao of Microservices guides you on the path to understanding and building microservices. 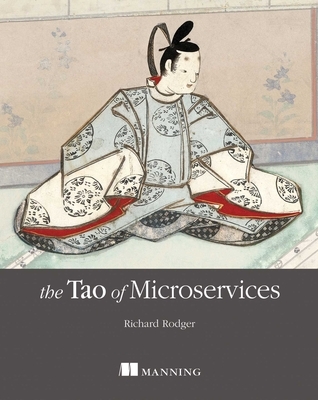 Based on the invaluable experience of microservices guru Richard Rodger, this book exposes the thinking behind microservice designs. You'll master individual concepts like asynchronous messaging, service APIs, and encapsulation as you learn to apply microservices architecture to real-world projects. Along the way, you'll dig deep into detailed case studies with source code and documentation and explore best practices for team development, planning for change, and tool choice. Richard Rodger, CEO of voxgig, a social network for the events industry, has many years of experience building microservice-based systems for major global companies.